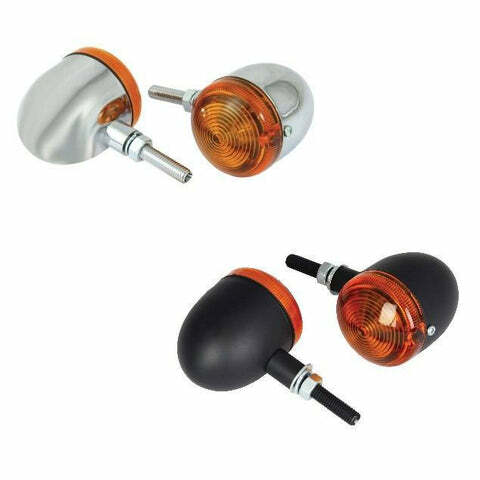 Our range of standard bulb universal indicators has something for everyone, whether its a basic replacement indicator you're after, or a set of custom looking indicators for your pride and joy. 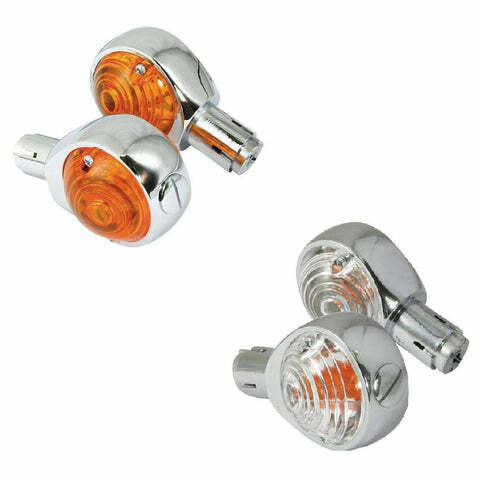 Universal fittings mean each indicator will usually fit easily on to your bike using only a single mounting bolt! 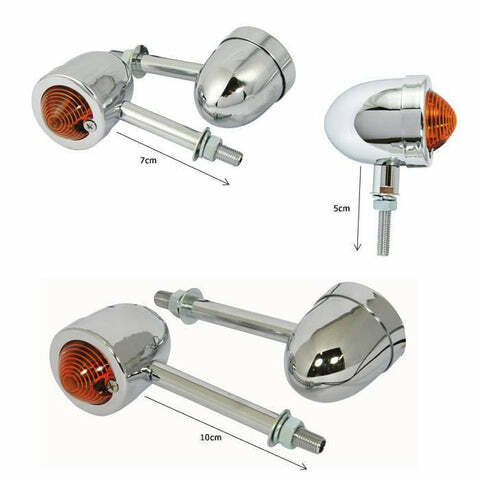 Machined metal bodied indicators with short stems to maintain a streamline look on your motorcycle, a perfect addition to any classic chopper or cruiser. 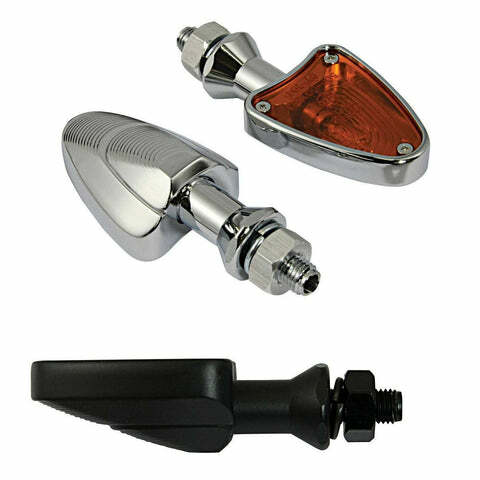 Easy to install with single universal bolt fitment! 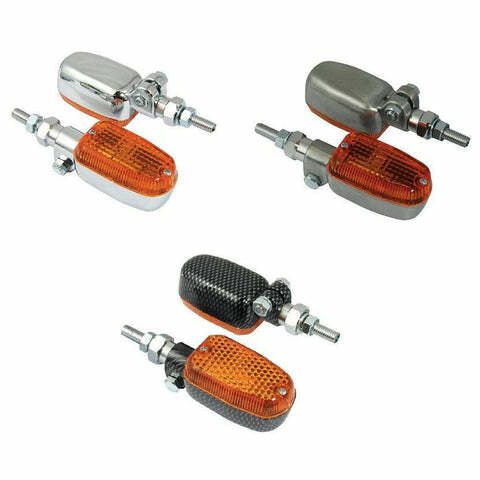 Machined metal bodied indicators with High Chrome finish and simple clamp-on installation, allowing you to fit these indicators anywhere you like on your motorcycle, or to a bike that doesn't have traditional mounting points. 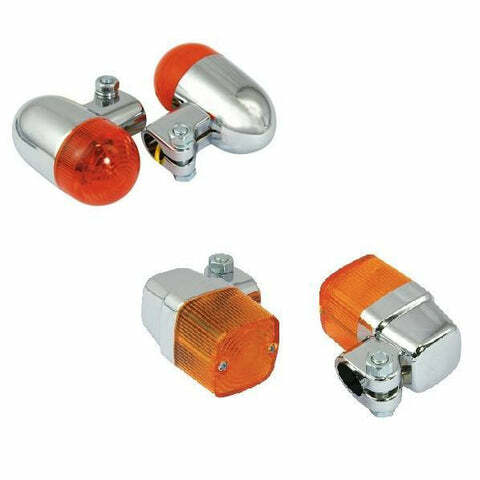 The CNC machined body and streamline appearance of this indicators, are a perfect replacement for the bulky O.E indicators, with a sleek style and high quality construction for a long lasting indicator. 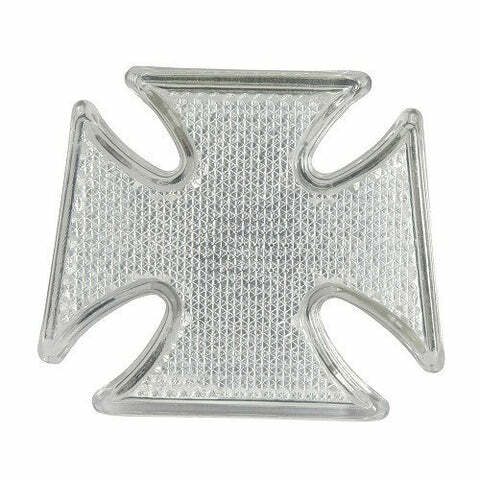 ŒæEasy to install with single universal bolt fitment! 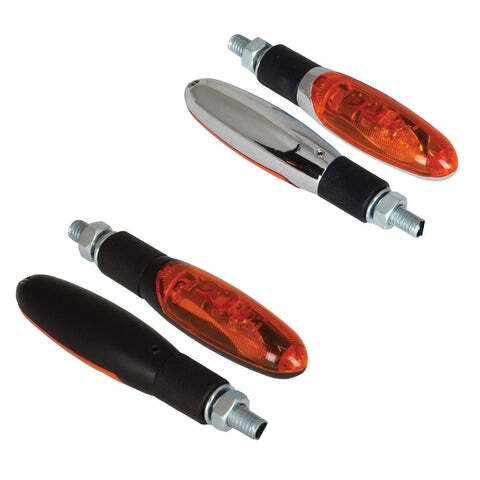 Fits flush to fairings to add a streamline look, and allows you to remove those bulky O.E indicators! 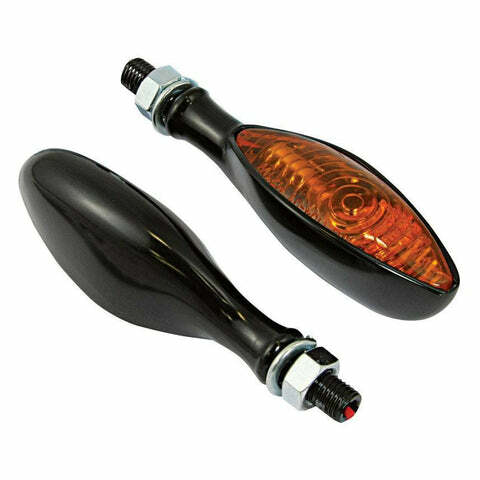 Simple and easy installation with backing nut fitment to be tightened behind the fairing providing a durable, long life.